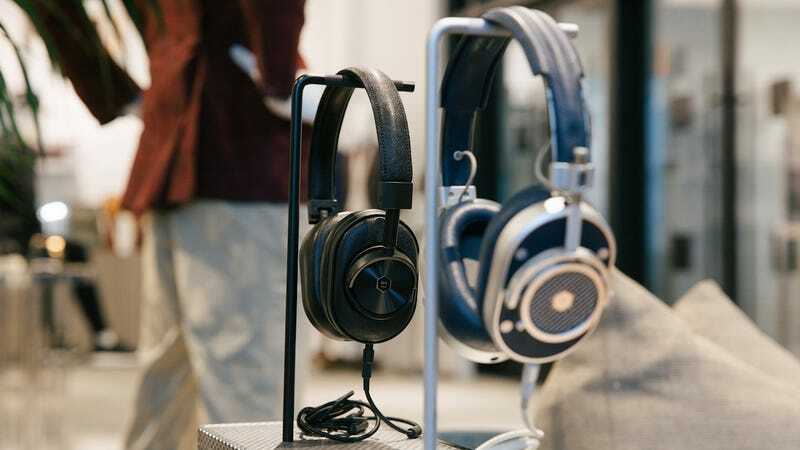 Stunning design aside, Master & Dynamic’s MW60s provide a rock solid connection up to 100 feet away, a 16-hour battery, and great sound. Let’s get the obvious out of the way: $550. If you aren’t willing or aren’t able to pay for head-turning design, these cans are not for you. If you are, you’ll be rewarded with audio and connection quality that won’t leave you nostalgic for wires. The MW60s have surprisingly low clamping force for wireless over-ears, and that, combined with moderate weight, keep them comfortable enough for all day use. The ear cups are as small as they could possibly be without being too small, at least for my ears, and have yet to overheat or fatigue me. There’s no noise cancelling or even particular focus on isolation claimed here, but I’ve found the MW60s do a fine job of remaining audible on the subway, and not sharing my Spotify playlists with colleagues at the office. The MW60s feature the same aptX technology for high-quality audio over Bluetooth as the Audioengine HD3s we recently covered, and an external, subtle antenna design similar to the iPhone’s that works impeccably well. The MW60s do not sound as good as (some) $550 wired headphones, but words like “warm”, “rich”, and “balanced” are definitely applicable here. Bragi’s swipe and tap interface on their Dash has forever spoiled me for wireless headphone controls, but Master & Dynamic’s classic 3-button on-headphone offering gets the job done. If you want amazing wireless headphones, don’t need noise cancellation, don’t need a built-in fitness tracker, and have $549, there’s nothing I’d recommend over the MW60s, especially in that great new navy colorway. 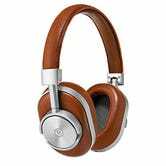 Update 5/26/2018: Master & Dynamic has launched the MW50+, wireless headphones that transform from on-ear to over-ear. As you’d expect from the name (and price) these have the excellent guys of the MW50s with a ton of added versatility, and USB-C thrown in for good measure.